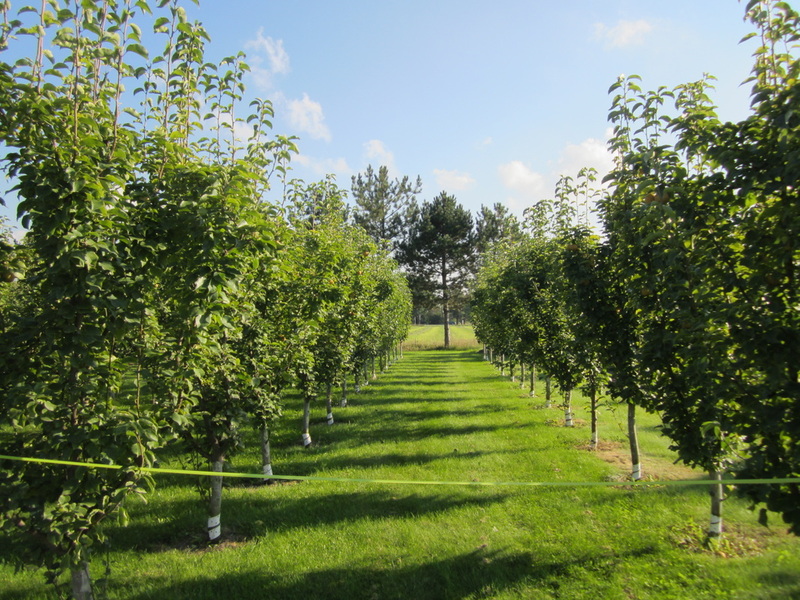 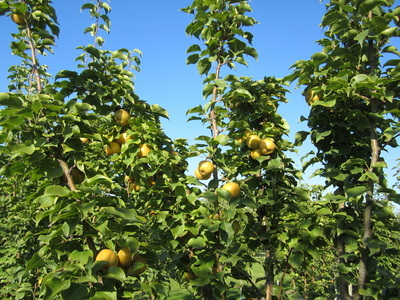 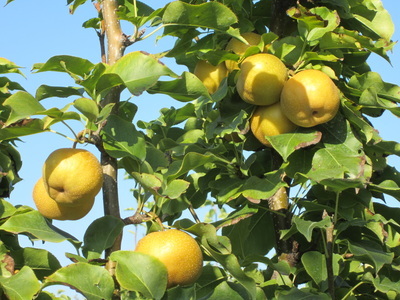 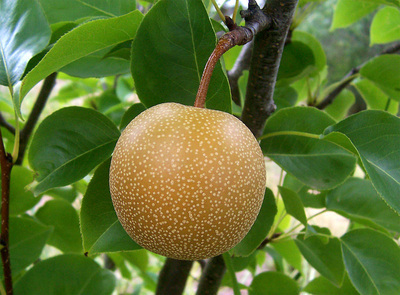 Asian Shinko pears are also known as the "pear apple" and are a medium sized pear. 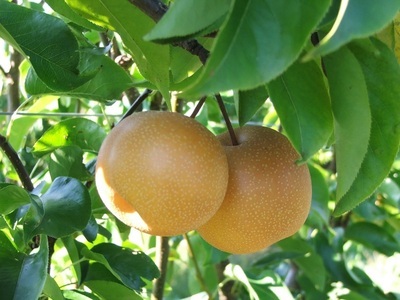 The outer skin of the Shinko has a golden yellow color with small white lenticels. 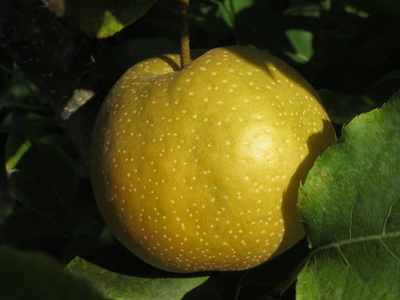 The inner flesh of the Shinko pear is extremely crisp and offer a juicy consistency. 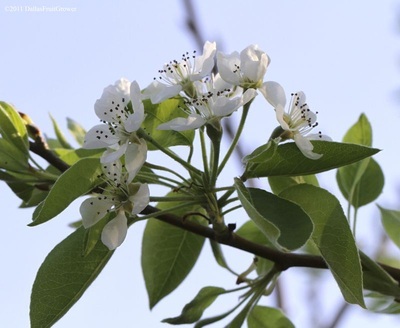 Shinko pears present a sweet flavor with spice-like undertones. 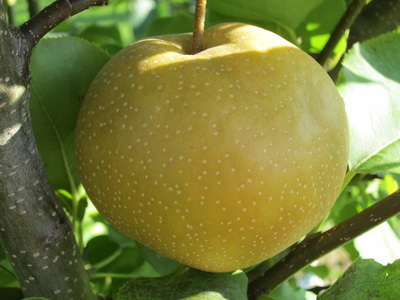 The fruits are not generally baked in pies or made into jams because they have a high water content and a crisp, grainy texture, very different from the buttery European varieties. They are commonly served raw and peeled.The fruit tends to be quite large and fragrant, and when carefully wrapped (it has a tendency to bruise because of its juiciness), it can last for several weeks or more in a cold, dry place. 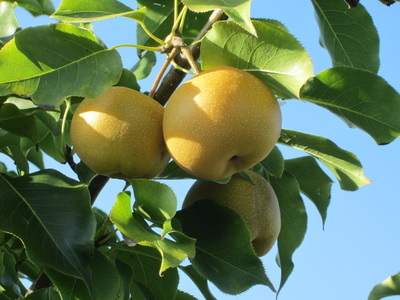 Due to their relatively high price and the large size of the fruit of cultivars, the pears tend to be served to guests or given as gifts, or eaten together in a family setting.